5. We are creating a community-based model of ownership and management that is horizontal, equitable, and accessible. Instead of top-down, profit-driven, capitalist structures, we are co-creating our center based on member needs. Yay, co-ops! 4. 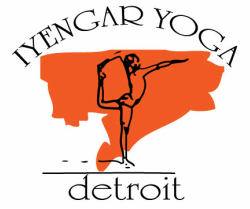 Support our Community Gift classes: At IYDC, Iyengar Yoga is meant for all, regardless of income. We have weekly $5 and up sliding scale classes, to meet the needs of people of color, women, activists and artists, and for emotional health. 3. 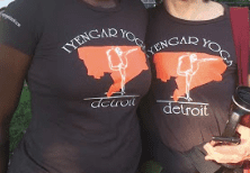 Rigorously trained teachers and ongoing teacher training: Iyengar Yoga teachers need a minimum of 1000 hours to get introductory certification, and thousands of hours more of continued learning through many more levels. That’s why we provide in-depth instruction, modifications for health and safety, and helpful adjustments. Your membership helps support our learning, and yours. 2. 20% discount on classes: Benefit from individual attention, camaraderie of small classes, and welcoming, accessible teachers. High quality classes that cost $15-30 in other cities costs literally half that amount for IYDC members. 1. SWAG. Annual tshirt, free to members. Get it while it’s hot. Membership covers the calendar year from January 1st - December 31st. Join now and receive benefits immediately. Fill out the Membership Form at IYD or ﻿SIGN UP HERE﻿. $50 General membership: tshirt, 20% discount on classes, lending library. $100 Voting Member: All benefits plus voting rights at biannual meetings, and limited end-of-year profit-sharing. $200+ Owner Member: All benefits, join the management circle, and end-of-year profit-sharing. Application and 6+ hours monthly time commitment required.